Latest info-graphic for ControlScan’s “SiteWatch” protection monitoring services. Some e-commerce merchants are not what they appear to be, operating one or more unregistered-yet associated websites that channel payments through registered sites. These unregistered sites often sell illegal or problematic products or services. 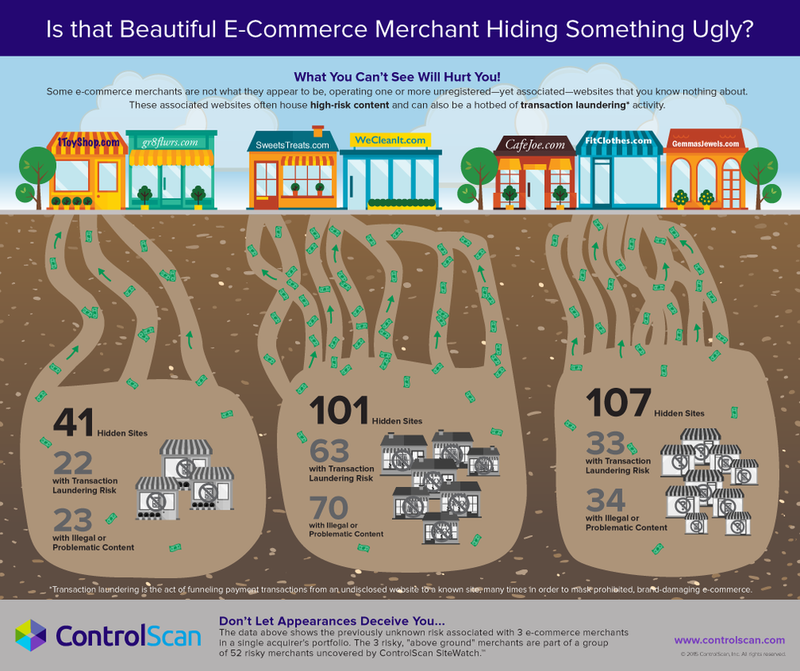 This info-graphic by Bull’s-Eye illustrates the colorful seemingly risk-free above-ground merchants while below is a darker underground of problematic websites funneling payments to the legitimate sites.